SHIMMER - WOMEN ATHLETES will film Volumes 19 & 20 of the SHIMMER DVD series on Saturday, July 5, 2008 at the Eagles Club (6309 26th Street) in Berwyn, IL, just outside Chicago. Bell time will be 4pm for the taping. Since the 4th of July this year lands on a Friday, this SHIMMER taping falls smack dab in the middle of a holiday weekend! Plan your road trip to the Chicagoland area now. See the fireworks and blow random stuff up on Friday night, and then head over to the Eagles Club on Saturday to check out the best in women's pro wrestling! As always, $1 draft beers at the bar for SHIMMER! Celebrate Independence Day weekend with the Women Athletes of SHIMMER! Saturday, July 5th! FRONT ROW IS SOLD OUT. General Admission Tickets are still available, at a cost of $20 each, plus $1 shipping. Visit the link below to order online via PayPal. You can also order tickets by mail order (check or money order). E-mail dave_prazak@yahoo.com for instructions if you wish to place a ticket order by mail. Over 2/3 of the tickets to the July 5th taping have already been sold. Be advised that this taping will likely sell out well in advance, as was the case last time. Act fast if you want to be there live! I really hope I can make it to these tapings, because I wont be able to go to 17 & 18. It looks like i am going to miss a chicago shimmer taping for the first time since vol 3 and 4. It seems that DP has a issue with me visiting my family. Both shows annouced show far this year go with trips to my parents. This is excellent for me. I'm back in town June 30! Hopefully, there'll be ROH at Chicago Ridge that weekend too . . . please, please, please. Unfortunately, I'm going to be on my way back from Cleveland at 7pm Sunday, so if they go too fast, I might be stuck in the 2nd row. ROH is back in Dayton on 6/27, which most likely means a Chicago show on 6/28, the weekend before SHIMMER. Ahhh! Yeah, you're almost certainly right about that. My first ever plane trip, my first July 4th in the U.S., my first time attending a wrestling show outside of Canada - good times, good times. 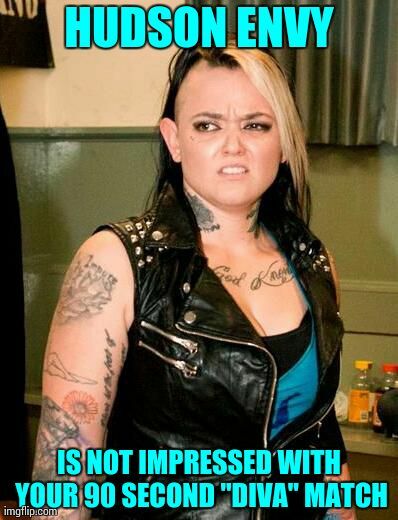 I've been to SHIMMER numerous times, can't try and sell me on it That only $10 is significant to others, especially with previous sizable increases and the fact that not a single name has been announced yet (and the names known via myspaces and whatnot are nothing new from previous shows). It's understandable. The shows are super expensive to put on. Given that front row for the last one sold out in hours and the whole venue rather quickly, it only makes sense that prices reflect the demand.